Ramiro Moyano scored three tries in the Jaguares’ historic 29-13 win over the Sharks in Buenos Aires on Friday. JON CARDINELLI reports. Who is going to stop Mario Ledesma’s Jaguares in 2018? While it would be a stretch to suggest that they are genuine title contenders, the Argentinians have played with power and panache this season and, after Friday’s result, have won their last six games in succession. What’s more, the Jaguares have recorded a first-ever win against the Sharks. Ledesma’s charges beat the Lions in Buenos Aires earlier this season, and the Bulls last week. They could well finish the season with a perfect home record against South African teams. The struggling Stormers will visit Buenos Aires after the June break, and will be underdogs considering that they haven’t won an away fixture in 2018. In the previous fixtures against South African opposition, the Jaguares put 49 points passed the Lions and racked up 54 against the Bulls. They didn’t have everything their own way against the Sharks on Friday, but still managed to score 17 unanswered points in the first 34 minutes. Rob du Preez and Curwin Bosch missed two penalty attempts between them during this period. The hosts dominated territory and exposed the holes in the Sharks’ defence . The visitors will want to forget the events that led up to the Moyano’s second try. Sbu Nkosi tracked a rolling kick by Emiliano Boffelli, and proceeded to knock it forward and into the hands of his flyhalf. The Jaguares took the ensuing penalty quickly, shifting it to the left wing for the easiest of scores. The Sharks did well to hit back right before the break. Dan du Preez collected the ball at the back of the lineout and transferred it smartly to his captain. Ruan Botha crashed over, and this time Du Preez made no mistake in front of goal. The Sharks trailed 17-7 at half-time. The thousands crammed into the Estadio José Amalfitani had few reasons to cheer during the third quarter. Du Preez kicked two penalties to reduce the deficit and bring the Sharks within sight of the lead after 54 minutes. 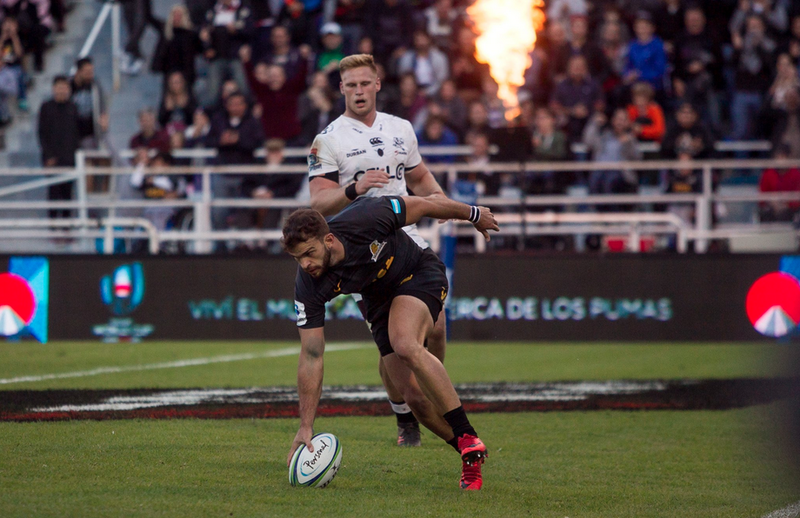 The Jaguares came close to scoring a try that would have handed them a nine-point buffer. The Sharks defence held out, however, as the TMO ruled that the hosts were guilty of a double movement close to the line. The hosts had some luck a few minutes later when the Sharks knocked on with the tryline at their mercy. They made their own luck, though, when they took a quick tap and Moyano handed Bautista Delguy the final pass. Nicolás Sánchez‘s conversion boosted the hosts 11 points clear of the Sharks. 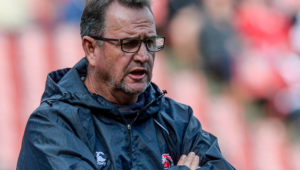 The Sharks effectively handed the Jaguares the game when Botha charged into a ruck in the 74th minute and made contact with an opponent’s head. After reviewing the incident, the referee didn’t hesitate to give the Sharks skipper a red card. The Jaguares pushed for the try-scoring bonus point in the dying moments. Moyano scored his third in injury time to ensure that the Argentinians strengthened their position in the South African conference standings. Jaguares – Tries: Ramiro Moyano (3), Bautista Delguy. 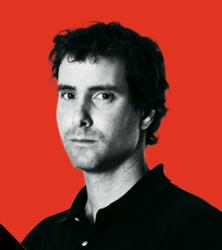 Conversions: Nicolás Sánchez (3). Penalty: Sánchez. Sharks – Try: Ruan Botha. Conversion: Rob du Preez. Penalties: Du Preez (2). Jaguares – 15 Emiliano Boffelli, 14 Bautista Delguy, 13 Matias Orlando, 12 Jeronimo De La Fuente, 11 Ramiro Moyano, 10 Nicolas Sanchez, 9 Gonzalo Bertranou, 8 Javier Ortega Desio, 7 Marcos Kremer, 6 Tomas Lezana (c), 5 Tomas Lavanini, 4 Guido Petti, 3 Nahuel Tetaz Chaparro, 2 Agustin Creevy, 1 Santiago Garcia Botta. Subs: 16 Julian Montoya , 17 Javier Manuel Diaz, 18 Santiago Medrano, 19 Matias Alemanno, 20 Juan Manuel Leguizamon, 21 Martin Landajo, 22 Bautista Ezcurra, 23 Juan Cruz Mallia. Sharks – 15 Curwin Bosch, 14 Sbu Nkosi, 13 Lukhanyo Am, 12 André Esterhuizen, 11 Lwazi Mvovo, 10 Rob du Preez, 9 Louis Schreuder, 8 Dan du Preez, 7 Jean-Luc du Preez, 6 Philip van der Walt, 5 Ruan Botha (c), 4 Tyler Paul, 3 Thomas du Toit, 2 Akker van der Merwe, 1 Beast Mtawarira. Subs: 16 Chiliboy Ralepelle, 17 Juan Schoeman, 18 Ross Geldenhuys, 19 Stephan Lewies, 20 Jacques Vermeulen, 21 Cameron Wright, 22 Marius Louw, 23 Makazole Mapimpi.